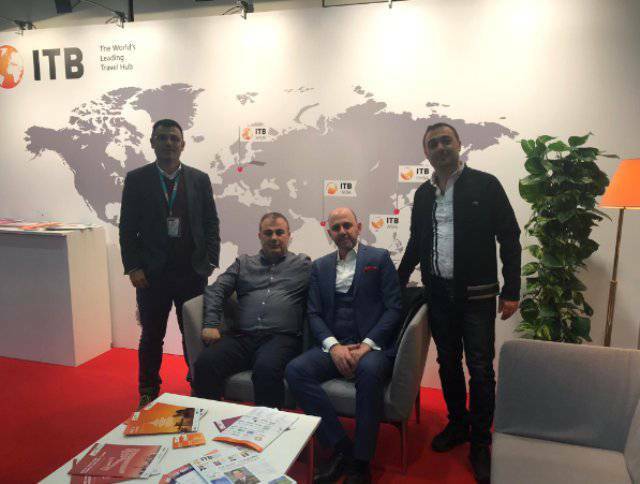 Turkey's leading car rental brands Cizgi Rent a Car, during March 06-March 10, 2019 date, this year 53.s the world's largest tourism fair was held attended ITB BERLIN. It was estimated that 12 thousand visitors from 187 countries visited the fair and the leading brands of the tourism sector came together and exchanged views on new cooperation opportunities and the future of the sector. The Cizgi which provides car rental services in a total of 16 locations in Turkey rent a car on April 6, 2019't exactly will be operational newly built 3 did not forget to carry the fair excitement of a new office in Istanbul Airport. He made a series of meetings during the fair to evaluate the existing commercial relations and to increase his contacts abroad in particular. In the statement made by the management of the company, "Individual and operational leasing, the number of players in the sector and thus the competition in the same way. Under these conditions, only companies with high service quality, operation volume and customer satisfaction rate can develop. To further increase our service network and quality, We listen to our customers, try to produce customer and employee satisfaction-oriented vision, and we follow expectations and changing sectoral developments. car rental service standards in Turkey is now the world's most advanced standard very close to their country, however, is not a mechanism such as industry entry barriers in Turkey, a large number of unregistered vehicles hired is, in this case both the informal economy of tourists coming to visit both in Turkey it has a negative impact on both the viewpoint and the overall sector. " The importance of taking part in ITB Berlin in terms of Turkish tourism, the hotel, travel agency, car rental and tourism technology, the most important institutions in the world as a fair that brings together, the fair itself is very important, as a company, overseas travel agents, foreign brokerage firms and B2B technology are provided and in this sense an efficient fair period has been passed. holding approximately 10% of daily car rental market in the hands Cizgi Rent a Car in Turkey, along with the location and the car park investment, it aims to increase its market share to 15% within the next 2 years.